The new PROSTAFF 5 2.5-10x50 features several technology upgrades that will satisfy even the most demanding hunters. A bright new optical system, remarkable hand-turn reticle adjustments with Spring-Loaded Zero-Reset turrets, and a convenient quick-focus eyepiece with a 4x zoom ratio, make adjustments while in a shooting position a breeze. The PROSTAFF 5 2.5-10x50 outfitted with the BDC reticle is an ideal fit for a variety of hunting situations and can be used with Nikon Spot On Ballistic Match Technology to take the guesswork out of compensating for bullet drop. With enough power for the longest-range shots and a 50mm objective, the PROSTAFF 5 2.5-10x50 will keep you on target even when shooting in the fringes of dawn and dusk. This is one scope you can truly count on in any situation. 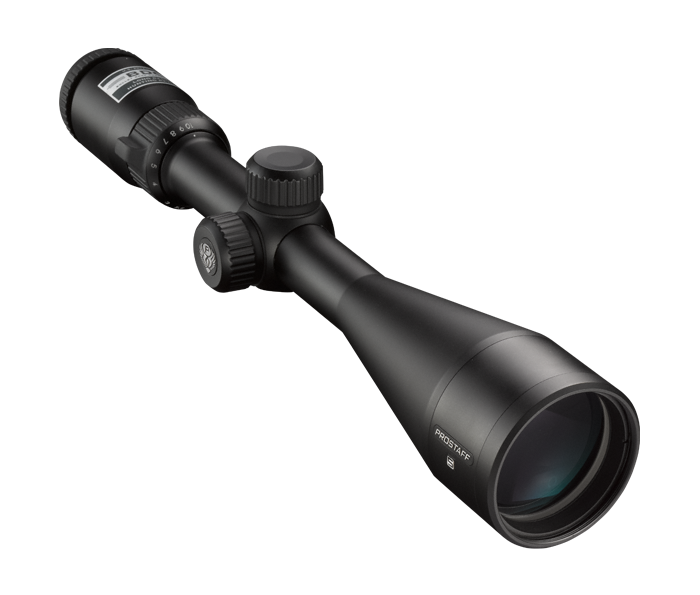 In addition all PROSTAFF 5 riflescopes are built with fully multicoated optics for maximum light transmission, even in extreme low light environments.